The Admiral Swansea Bay 10k operates under the rules of UK Athletics. By participating in the Admiral Swansea Bay 10k events you acknowledge and agree that personal information (including medical information entered against your race number or collected by event medical staff during or after the event) can be stored and used by the council in connection with the organisation, promotion and administration of the event and for the compilation of statistical information. 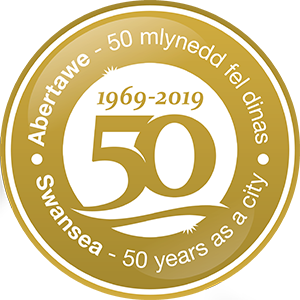 By taking part, all participants confirm that their names and television and/or video footage or photographs taken during their participation may be used to publicise the Admiral Swansea Bay 10k events or City and County of Swansea events. Participant’s race numbers are specific personal identifiers and may not be exchanged with or transferred/sold to any other person. Sale and/or transfer of race numbers is strictly prohibited and will result in the disqualification and/or banning of any individuals involved from this and future events, and this will be reported to UK Athletics. Registrations close when the course cap for each event is reached, or if this is not reached, at 12 noon on 31st August 2019. Participants must follow instructions as given from all event officials including race staff and officials, volunteers, medical personnel, security officers and council officials before, during and after the event. Every participant shall be provided with a race number, which MUST be worn on the FRONT of their shirt/vest and be visible at all times during the event. The race number is to be worn as issued and not cut or be folded in any way. No participant shall be permitted to participate in any events without the appropriate number. It is expressively forbidden to swap race numbers with anyone else as this could potentially put someone’s life at risk. Anyone found swapping race numbers will be disqualified from this and possible future events and reported to UK Athletics. All participants must write their name and details of any health problems or medication on the reverse of the race number along with details of next of kin or someone who can be contacted in the event of an emergency. Numbers must be worn on the front of shirts/vests during the race. Participants should also inform the race organisers in advance of the event of any special medical conditions. Baby joggers, baby strollers, skateboards, Nordic sticks, rollerblades, unauthorised bicycles or any other wheeled device will not be permitted on the course, except for hand propelled wheelchairs in the wheelchair race. Participants must begin the events during the official recognised starting times. Participants enter at their own risk, the City and County of Swansea takes no responsibility for illness, injury, loss or damage suffered by entrants. Participants must be physically fit and able to complete the 10k course within 2 hours of crossing the start line. Roads closed for the main 10k race will reopened at a point after the race starts which is determined on health and safety and operational grounds. A sweep vehicle will follow the 10k back markers. Anyone who is deemed to be unable to complete the course in a reasonable time will be approached by a race steward/official/marshal and told that they must use the pavement if they decide to continue as the roads will be opening up and their safety cannot be guaranteed. In the event of you being so far behind we strongly advise you against continuing and you should ask the steward to radio through for a pick up vehicle to come and take you back to the finish line. If you do continue we will be unable to guarantee that road closures, marshals and drinks stations will still be in place. Before starting the race please give careful consideration to your ability to complete the course in a reasonable time. Participants should not bring excessive valuables or cash to be left in your kit bag being handed into the baggage area. No dogs are allowed to accompany runners in any event. Participants will be assigned to “timing pens” in accordance with the runners’ predicted finish time. Participants shall assemble for the race in their assigned timing pen no less than 10 minutes prior to the race start. Any athlete attempting to enter the timing pens late and near to the start time shall be referred to the back end of the assembled runners and required to start after all other participants have crossed the start line. Any participant who refuses to obey the directions of any event official or course marshal, or who conducts himself/herself in an unsportsmanlike manner, or who uses offensive actions or language to officials, volunteers, participants or spectators may be disqualified from the event and future participation at the discretion of race officials and will be reported to UK Athletics. Any participant who has been found by a course marshal, event official or surveillance equipment to have gained an unfair advantage by intentionally shortening the route of the race (“cutting the course”) shall be immediately disqualified from the event and will be reported to UK Athletics. Any person who participates in the event either a) without a current official race number and chip timing device or b) with a chip or race number not officially assigned to him/her is subject to removal and disqualification from this and future events. A hands-on medical examination during the progress of an event by officially designated medical personnel shall not be considered assistance and will not result in disqualification if the participant is deemed medically fit. If a participant becomes ill during or after the event and/or receives medical attention or treatment either from event medical staff, or any doctor or hospital, they authorise such persons to provide details (including details of medical treatment) to the Medical Coordinator of the Admiral Swansea Bay 10k or others authorised by them. The use of wheeled devices by participants or any other person authorised to be on the course shall be strictly limited to (a) authorised and registered competitive wheelchair participants and (b) authorised course marshals or First Aiders on bicycles. Baby joggers, baby strollers, skateboards, rollerblades, unauthorised bicycles or any other wheeled device will not be permitted. We strongly advise against the use of Ipods, mp3 players or any digital players during the race, as these can prevent you hearing any emergency announcements over the PA system, or sirens of emergency vehicles should they be approaching from behind en route to an emergency. Participants must retire at once from the race if ordered to do so by a member of the event’s official staff, official medical staff, or any person in authority, including emergency service personnel. In the interest of safety, the Race Director and event officials, in consultation with the Emergency Services, reserve the right to delay, cancel, or suspend the race due to extreme inclement weather or a major incident on or near the event route. In these circumstances no refunds will be issued. All participants are assigned a chip timing device prior to the event which is attached to the back of their race number and is included in their Race Pack. Gun time is the official time used for all prize results. Official times are calculated from the start of the race by the starting klaxon/gun to the point where the participant crosses the finish line. Times shall be rounded to the next highest second. Participants must wear their assigned chip timing device continuously attached to their race number from the start line to the finish line, to receive an accurate finish time. The Admiral Swansea Bay 10k follows, and participants are subject to, the rules specified by the UK Athletics Association. Please visit www.uka.org.uk for additional information concerning the rules mandated by the governing bodies for the sport.